The Automatic Trip Hammer is manufactured to comply with the Standard Penetration(SPT) to BS 1377:Part 9:1990. SPT Drive rod and Split tube sampler are connected to the base of the Anvil, and drive into the ground by the falling weight. The Automatic Trip Hammer comprises a weight of 63.5 kgs complete with pick-up and self-tripping mechanism that ensure the weight has a free-fall of exactly 760 mm. The inner shaft acts as a guide that permits the weight to drop with minimal resistance and ensures thant the weight strikes the anvil squarely. The Anvil thread is usually be processed with 1-1/2" B.S. whitworth to fit our standard SPT Rods. Adaptors to other types of drill rod can be supplied on request. 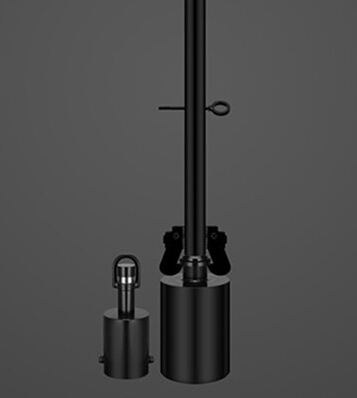 The overall length of the hammer is 1.8m and total weight of the Hammer is 107kgs. 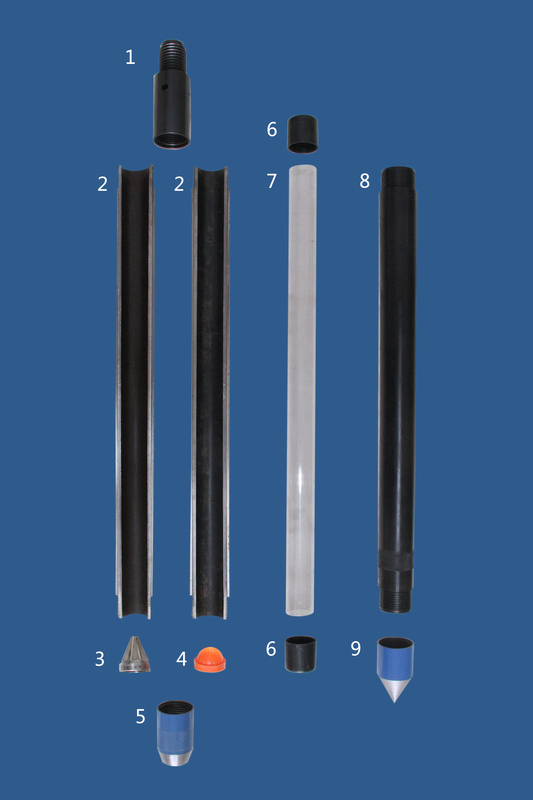 SPT Split Tube Sampler design for carry out the Standard Penetration Test (SPT) to BS 1377: Part 9: 1990 and ASTM standards. The Top Ball Valve Adaptor, pair of Split Spoons, and open SPT Shoe compose a complete of Split Tube Sampler. A Basket Retainer made from steel also is available as an option the sampler. The ball valve adaptor prevents samples from being washed out of the sampler when it is withdrawn from the borehole. A 60 degree nose cone or long solid rod with 60 degree point is available for carrying out SPT (c) tests in gravel and loose material. 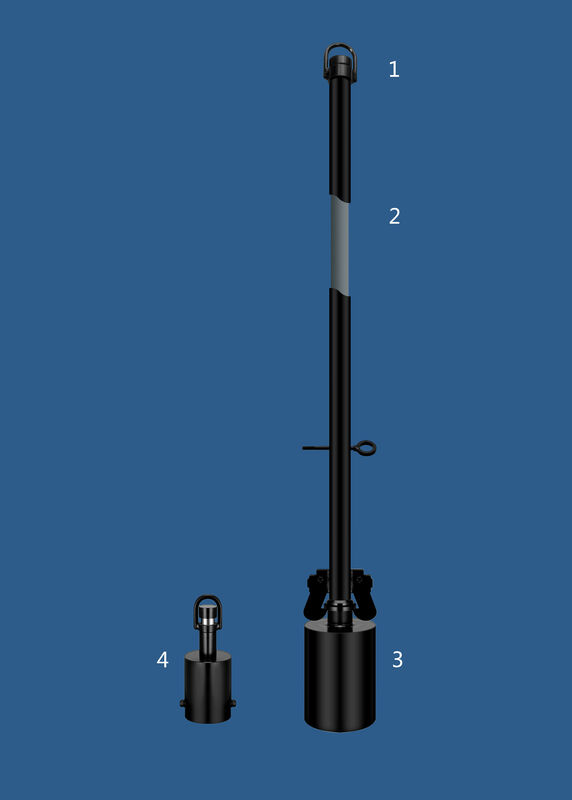 The screw connection on the top adaptor depends on the type of drill rods being used to drive the sampler. Most frequently used rods are 1-1/2" B.S. Whitworth, NWY Rod, BW or AW. 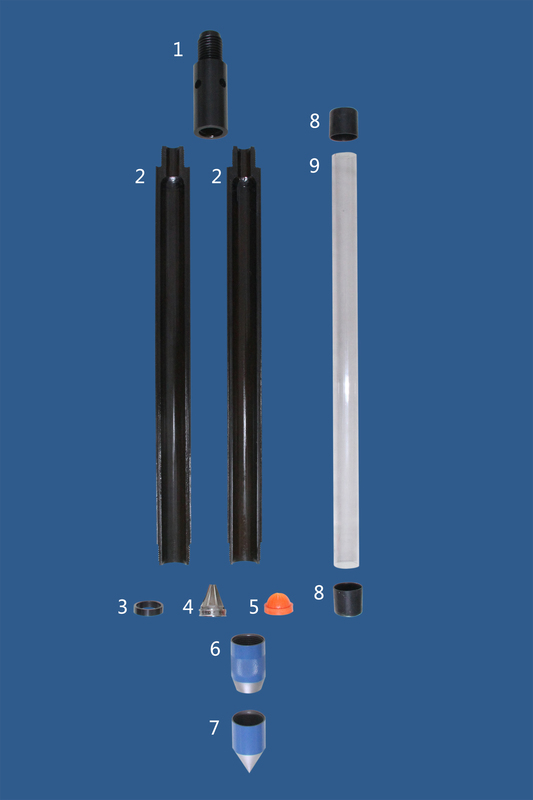 The BS standard Split Tube Sampler is 2" (50.8 mm) OD x 1-3/8" (34.9 mm ) ID x 18" (457 mm) / 24" (610 mm) long.And ASTM standard Split Tube Sampler is 2" (50.8 mm) OD x 1-1/2" (38.1 mm ) ID x 18" (457 mm) / 24" (610 mm) long. For heavy driving conditions, the Heavy-duty "Tuflok" design is available. The junction of tuflok type between ball valve adaptor and split tubes is thicker than conventional type,in order that bear reater impact force. 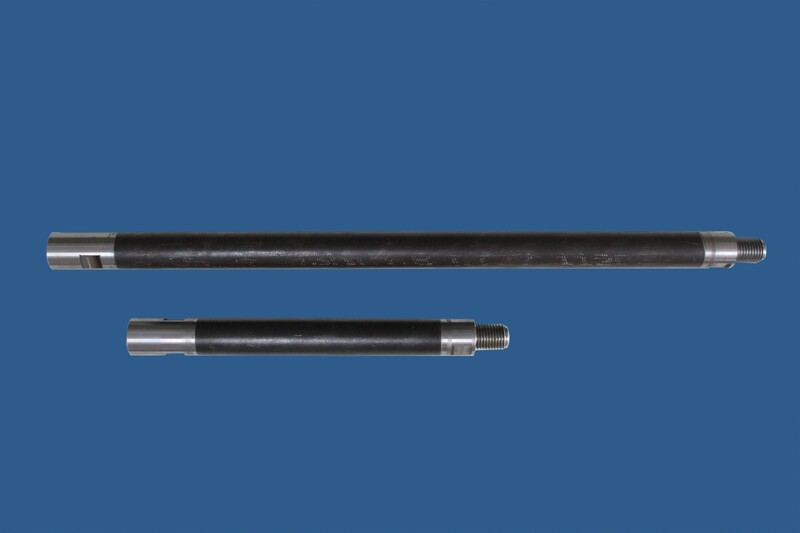 SPT Drive Rods are manufactured to connect with SPT Split tube Sampler and Comply with the BS 1377:Part 9:1990. The Rod OD is 54mm with Solid 1-1/2" B.S. Whitworth male and female tool joints on each end. The tools joints are friction welding with the Rods and has a pair of Spanner flats to facilitate handling. The Rod weight is 8.8kgs per meter but both stonger and stiffer. It has four kinds of standard lenghts,like 3.0m,1.5m,1.0m and 0.75m.